Thomas Penney Watches his work of art, an 11 foot, 3000 pound bear loaded on a plat form at the Niagara Falls Convention Center. 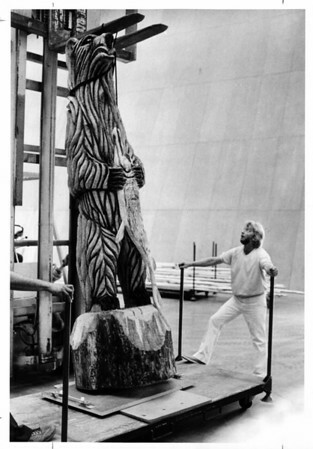 The bear was carved from a log using a chain saw. Photo - By Ron Schifferle - 8/22/1983.